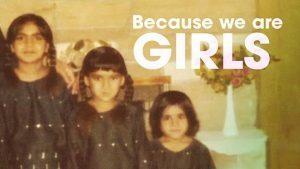 THE National Film Board of Canada has announced a new release, Because We Are Girls, by Baljit Sangra. This is a feature-length, intimate documentary about three Punjabi-Canadian sisters from B.C. who, after years of sexual abuse by a family member, unite to fight the abuser in the courts. It is an empowering, feminist, cinematic and hopeful story that shows the impact of sexual violence on an entire family, including the sisters’ parents, partners and children. The film will have its world premiere during the Hot Docs film festival in Toronto (May 1-3) and will open the DOXA Documentary Film Festival in Vancouver in the same week (May 3-7). Friday, May 3 at 7 p.m.
Tuesday, May 7 at 6:30 p.m.